Wire means a simple structure and a small number of core electrical wire transfer. Cable means multiple stranded complex manufacturing process, or to pass a few more core electrical wire. Wires and cables are not strictly distinguish between the two, generally speaking, as long as the signal can transmit electricity or physical wire, wire and cable can be called. Development of wire and cable, mainly related to the development of an insulating material and conductor. Insulating material consists of the most primitive bare enameled wire plastic wire rubber synthetic material line; the progressive development of the current types of cable. Platinum copper and aluminum conductors also have cable and so on successively. Wire Industry Association, according to Japan in 1977 on the classification of wire and cable: 1, bare 2, reel 3, 4 communication cable, power cable 5, covered wire. 1. bare wire ---- name suggests, non-insulating material, a conductive material mainly as: gold, silver, aluminum, platinum and the like. 2. reel ---- similar to the current wired telephone handset cord, CE factory car charger cable. 3. Communication cable ---- mainly used in communications wire and cable, telephone lines apparently is the most obvious example. 4. The high-voltage power cables ---- usually pass wires. 5. ---- covered wire is generally low pressure transmission wires. 1. Application of copper cathode copper law currently copper industry. Tinned copper easy to weld, not easily oxidized. 3. Granulation: Formulation and color. 1. The description of wire and cable specifications. 1. --- indicates the UL. 2. --- represents AWG (American Wire Gauge American Wire Gauge) number, use AWG number may refer to Annex I, II. 3. --- indicates purchase as conductor, the entry of fine copper wire conductor consisting of seven shares. 4. --- "/" means 7 shares thin copper wire is twisted together, "×" said the 7-strand thin copper wire is straight together. In general, direct telephone line conductors put more. 5. --- represents a single copper wire diameter is 0.127mm. 6. --- "A" represents the bare copper wire ("T" indicates tinned wire), "S" indicates fine stranded copper wire. 7. --- "C" (core) indicates the number of cores. 8. --- "E" (earth) represents ground. 9. --- "A" (al / mylar) represents clad thin mylar ("P" represents wrapping paper). 10 .--- "B" (braid) indicates the knitting ("S" (spiral) represents winding). In general, twisted away from the smaller Binding better, but more expensive twisted away from the smaller price. * Obviously, the conductor of the same size, the thin strand of copper wire than the direct discharge of thin copper wire length. Here the rate of twist concept exists. We use the length of conductors multiplied by a coefficient K (K is 1.02 when the general, greater than 61 to take 1.03), we get the actual length of the strand, where K is twisted into the factor. PP (Polypropylene) material - lighter, stiffer, burning smoothly, without too much smoke, there is dripping phenomenon. Lower prices, specific gravity: 0.91. SR-PVC (Semi Rigid-Polyvinyl chloride) material - a darker, softer, burning a lot of soot. Expensive, specific gravity: 1.45. PE (PolyEthylene Resin) material - very bright, soft and difficult to process, combustion without dripping phenomenon. Expensive, specific gravity: 0.93. The factory production of ordinary telephone lines used by the insulating material is PP material coupled with the EVA, the weight ratio of 10: 1, and the mouse SR-PVC material commonly used material. Of plastic material, whether it be an outer insulating material or wire material has some important mechanical properties, chemical properties and the like, which can refer to the "Chemical Dictionary." Gravity is also very important in wire and cable design, he directly affect how much dosage. * Composition: the collection of specific configuration, need to list from inside to outside. For example: 4C + F + E + A represents 4C + padding + ground + aluminum foil collection. * Twisted away from: the need to provide for collection in accordance with the following provisions lay length. Non UL: layer core set of trails * 40 (reference value). Special requirements: depending on the specific circumstances. PP foam tape and so on. It depends on wire diameter, in general, no more than 1/4 of the arc length. As already mentioned joint action is wrapped with braided shielding, electromagnetic wave isolation to the outside world; to ensure uninterrupted internal signals, and if the winding and weaving the ground, then the internal signal does not leak. Where: D '--- layer core diameter (mm), d --- winding copper wire diameter (mm), D1 --- path winding down, 3 is experience, ensuring beautiful appearance after winding wire, otherwise due copper wire wound endure more closely while prone staggered phenomenon, leading to the outer surface of the wire extrusion appear lump, bumpy. C. indicates wound shielding rate (winding ratio of the number of theoretical values of percentage). The number of shares and can not be arbitrarily mesh becomes too large or too small, but still can change. To achieve the same shielding rate case, you can increase the mesh, reducing the number, while weaving speed reduced accordingly. In addition to these materials outside are several commonly used, but there are still rubber, TPE and other materials can also be reused as, outside the physical properties of the material and chemical properties Please refer to the "chemical dictionary." 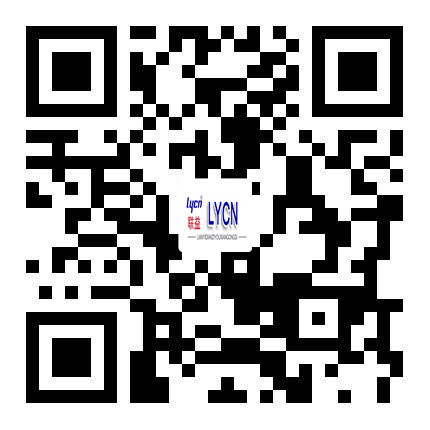 Copyright © 2005 - 2013 Shenzhen Lianyi Electronics Co. Ltd.